On Friday May 16th, Etam hosted an exciting event to launch the new Smiley ‘ES’ SS14 range in Shanghai, China. 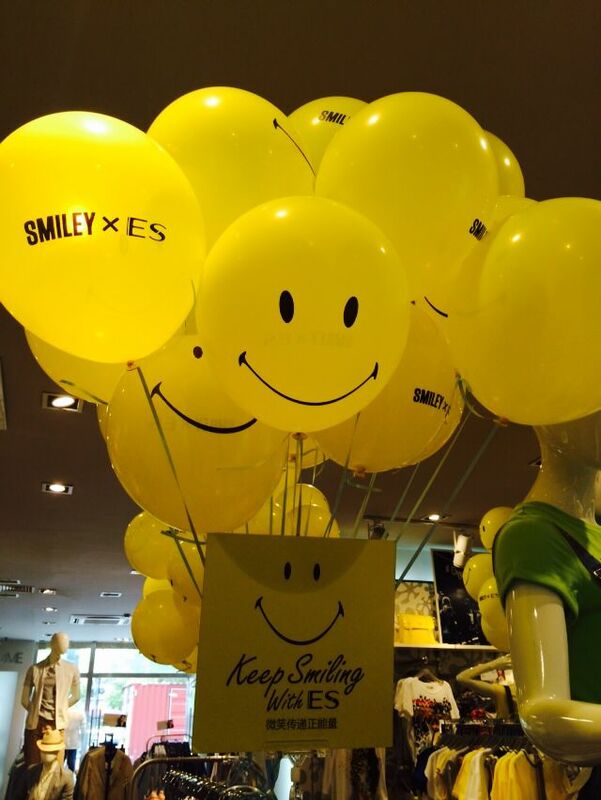 The Etam store underwent a Smiley takeover, with the windows showcasing the latest ES collection, staff wearing the new products, and yellow smiley balloons throughout. Large graphics both inside and outside the store made sure that the shoppers of Shanghai knew Smiley were in town! 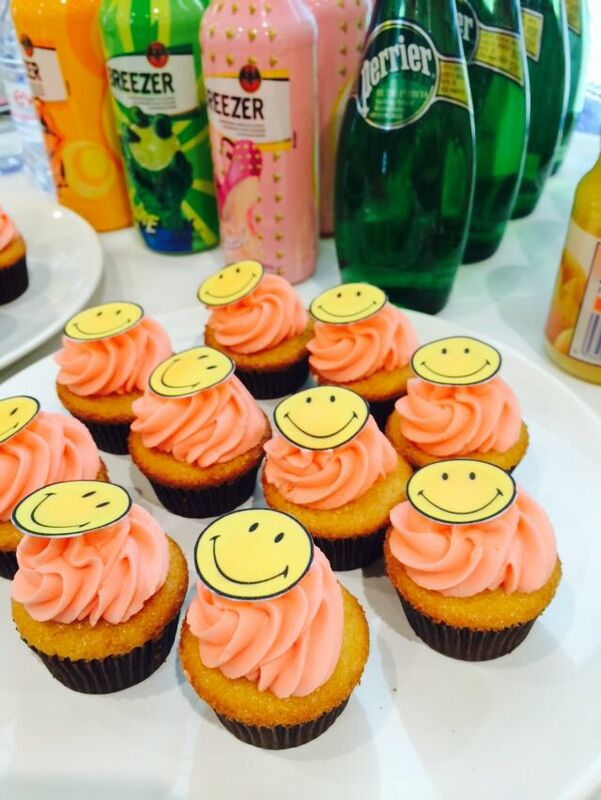 Customers were treated to goodie bags, refreshing drinks and hand-made Smiley cupcakes to give them an extra-special shopping experience. The new SS14 Smiley x ES collection features cute printed oversized and fitted t-shirts in summery colours of pink, lemon and white. Each item is finished with a Smiley inspired design, making this the happiest t-shirt range this summer! Bras and knickers, nightdresses, tops, pants, slippers and toiletry bags… All to make You smile!! 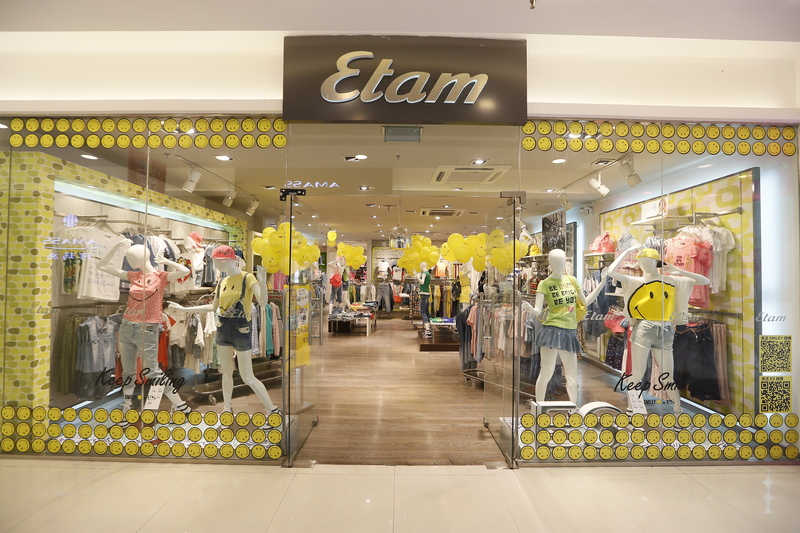 Discover the entire collection in the international Etam Stores and at http://www.etam.com! Smiley Lingerie Collection available now on Etam.com! Every season, the Smiley Original x Etam partnership grows stronger and stronger. Built on the success of previous collections, using a design-conscious approach with a fusion of colours and treatments, the Etam ranges have always resulted in fun and wearable pieces for women which truly embody the spirit of the Smiley brand – positivity and freedom of expression. The new collection, recently launched online at Etam and available in stores, once again presents a bold and colourful offering with products to get you through the summer in style and comfort. 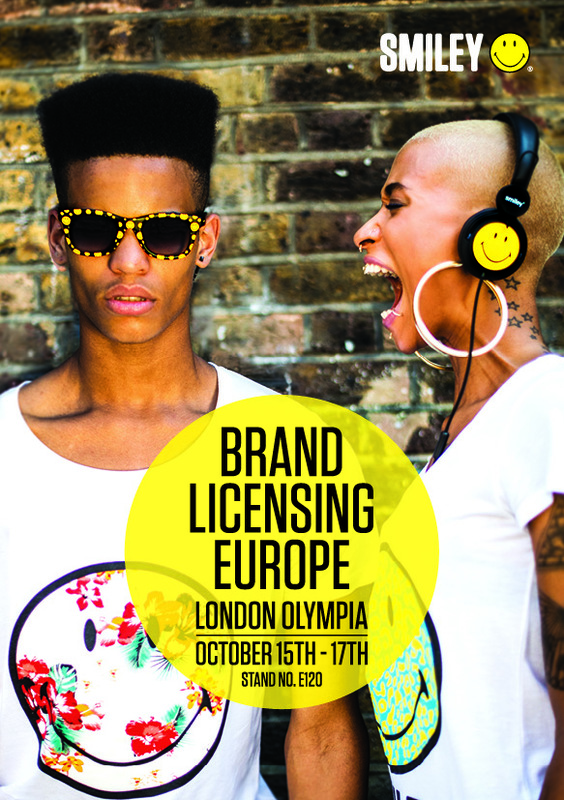 The diversity of the collection provides the Smiley lover with endless opportunity to wear their Smiley with pride. Including lingerie, nightwear, vest tops, track pants and summer tops in a wide range of designs. Available online or in store at etam.com.